I love editing photos, either by removing backgrounds, adding people or animals into a photo that wasn't there before but still keeping them to look natural. 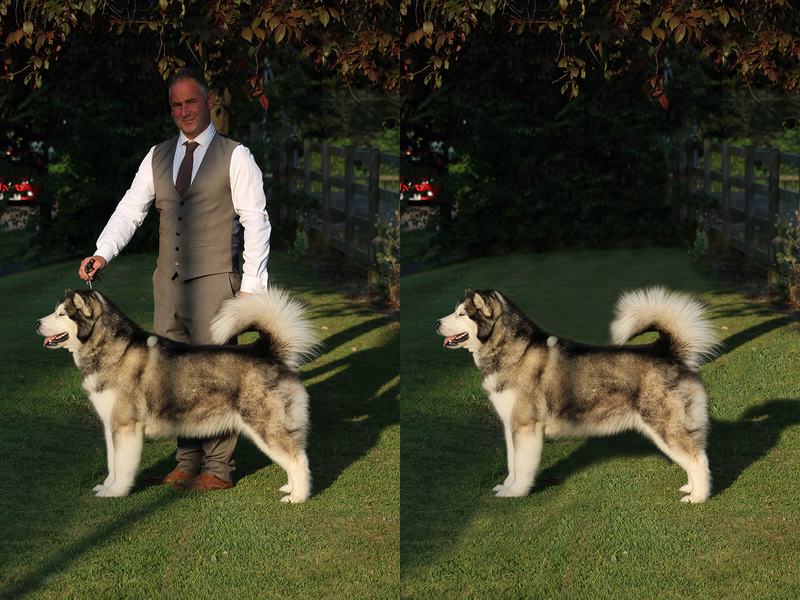 Here is one example I did for Dreamwolves Kennel of their beautiful Cheya. If you would like a photo edited please contact me for a quote.